When Jim Beattie, President of ATI Performance Products, Inc. first attacked the field of automatic transmissions, Funny Cars were blistering down the track at six seconds and dragsters were still trying to break 200 m.p.h. Today, one can’t help but notice the dominance of ATI decals at the track. Automatic Transmissions, Inc., which Jim built from a modest general rebuilding shop in Silver Spring, MD, is still a family-owned and operated business with JC Beattie, Jr. heading operations for the company. Other family members help in various capacities within the business. It’s obvious the entire family has a passion for the racing industry. From the age of three JC, along with his dad, could be found racing anything with wheels. Now, he sits behind the wheel of a 2009 Drag Pak Stocker or 2012 Super Stock COPO Camaro equipped with ATI parts to give ATI customers true track-tested and proven products. Over the years, ATI has earned a reputation for its cutting edge technology, attention to detail, and rigorous testing under race conditions. 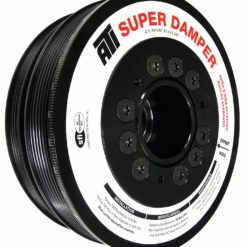 By staying true to these basic principles, ATI has built a loyal customer base; many of whom still use parts purchased from ATI in the 1980’s. 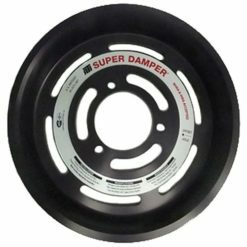 Today, ATI manufactures a multitude of high performance parts including competition transmissions such as the incomparable Superglide®, Treemaster Converters®, Super Dampers®, Compu-Flow® Valve Bodies, Flexplates and Adapter Kits as well as a wide variety of performance enhancing internal transmission components. Innovative designs, partnered with a commitment to racing, allows the company to maintain a prominent position on the cutting edge of high performance component design and manufacturing. ATI proudly holds over a dozen U.S. Government patents, with others pending. Located just outside of Baltimore, Maryland ATI’s manufacturing facility houses one of the most advanced machine shops in the industry; all machinery operations take place in-house so that total quality control can be maintained. There are more than 30 CNC machines operating in the plant to ensure that ATI customers receive the highest quality performance components available anywhere.